Turkey’s Politics research papers discuss the politics of the largest secular Muslim nation and parliamentary democratic republic, headed by the Prime Minister. Research papers on the politics of Turkey look at the government and leadership of this mainly Muslim nation. Whether it is the geography of the country or the politics, Paper Masters will custom write a research project on Turkey exactly according to your specifications. There is also a President, but that office is largely ceremonial. Like the United States, Turkey’s constitution spells out a separation of powers. Executive power rests with the Council of Ministers. The Grand National Assembly of Turkey holds legislative power, while there is also an independent judiciary. Since 1950 conservative parties have dominated Turkey’s politics, including the current ruling AK Party, which has a strong Islamic base of support. The Turkish Democrat Party was the first opposition party, ending the era of one-party rule in 1950. Parties on the left of Turkey’s politics include the Republican People’s Party, which draws much of its support from the more metropolitan areas of the country. One of the major issues dominating Turkish politics in recent years has been the significant minority of Kurds in the country’s east. The Kurdistan Workers’ Party (PKK) has, at times, been labeled a terrorist organization, but the AK Party has made numerous overtures to Kurds. 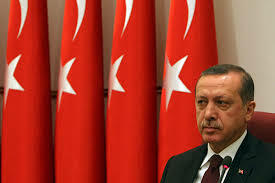 However, critics have charged that AK Party leader Recep Tayyip Erdogan has become increasingly authoritarian in his leadership of the nation. Erdogan served as Prime Minister for 12 years before becoming President in 2014. Democratic Countries - custom research papers are written on the countries with a system of government chosen by universal suffrage. Liberal Democracy - a written constitution that spells out the power of the various branches of government, providing systems of checks and balances and an independent judiciary leadership. Zionism - Turkey was defeated in the War and Britain took over Palestine, formerly controlled by Turkey. The Zionist petitioned the British government for their own country. Order a research paper on Zionism from Paper Masters. Early Stages of Cyprus - Although the Turkey had controlled Cyprus prior to the rule of Great Britain, the Greek Cypriots outnumbered the Turk Cypriots. Islamic Caliphate - In 1924, Kemal Ataturk abolished the Caliphate, creating the secular Republic of Turkey. Palestine Before WWI - At the very same time that it was playing Zionism against the Arabs, The British were utilizing Arab nationalism against Turkey. The Byzantine Empire - Renaming the city Constantinople (now Istanbul, Turkey), the emperor made another decision that would have far-reaching implications. The Year of Stagnation in Cyprus - a research paper on the “Turkish Republic of Northern Cyprus” (TRNC) and in 1985 adopted a constitution and held elections; this arrangement is recognized only by Turkey. Paper Masters writes custom research papers on Turkey’s Politics and discuss the politics of the largest secular Muslim nation and parliamentary democratic republic, headed by the Prime Minister.